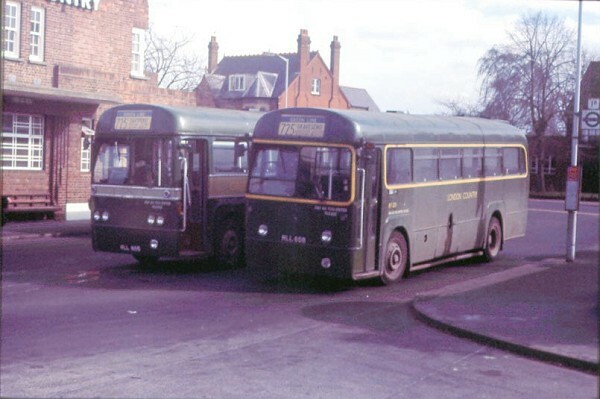 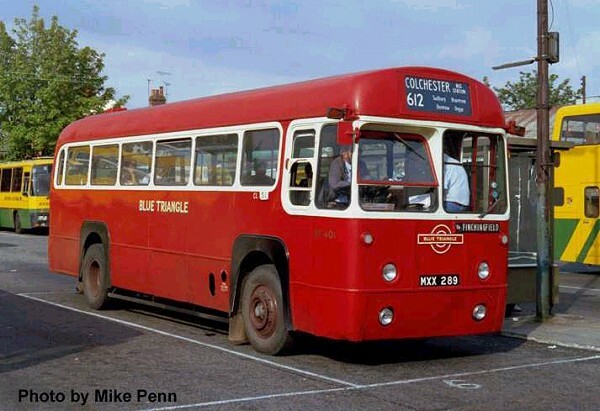 This photograph taken in Braintree, Essex in September 1991 shows RF401 (MXX289). 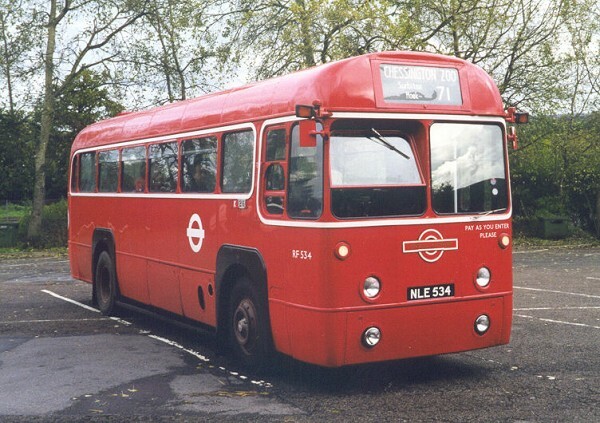 This is the actual vehicle represented by EFE model 23312 and is also on the same route/destination as shown on the model. 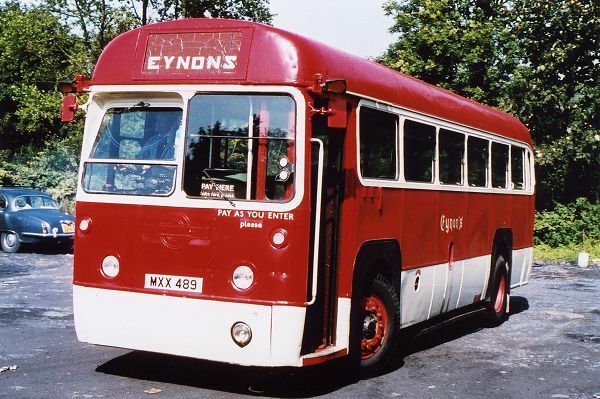 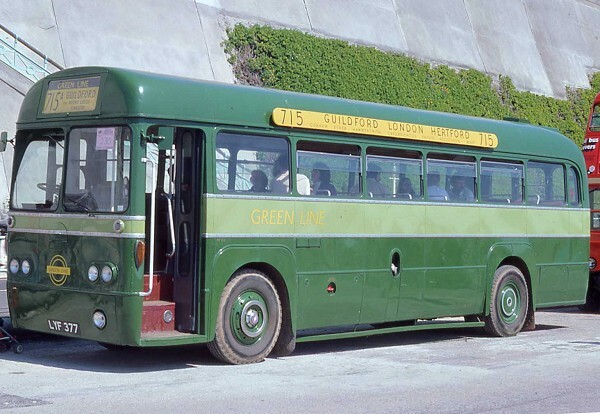 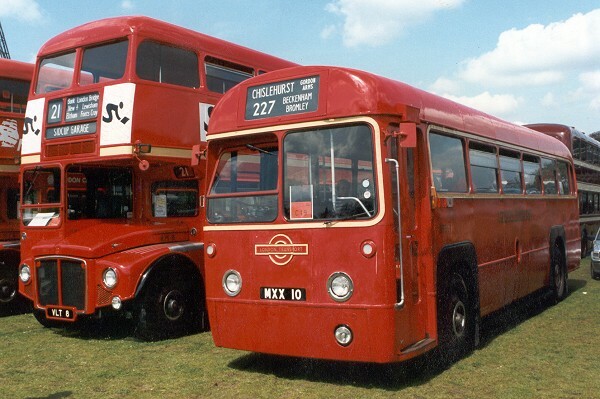 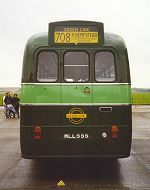 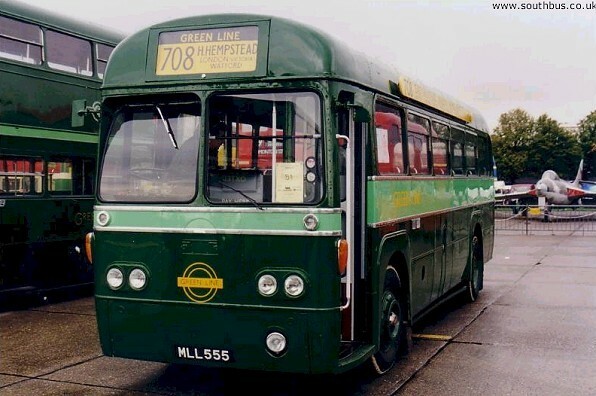 This photograph was also taken at Showbus on 27 September 1998 and shows the rear of RF168 (MLL555). 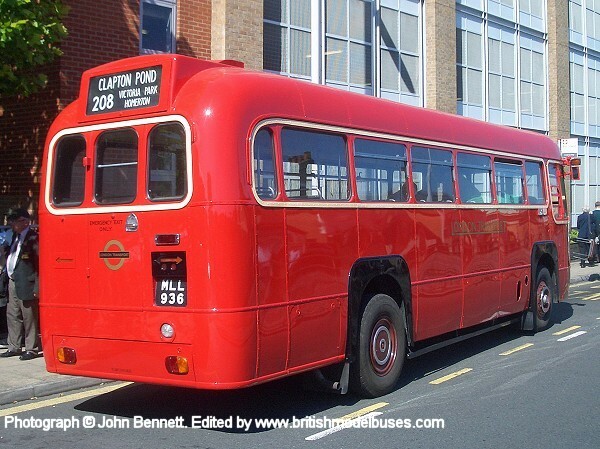 See picture above. 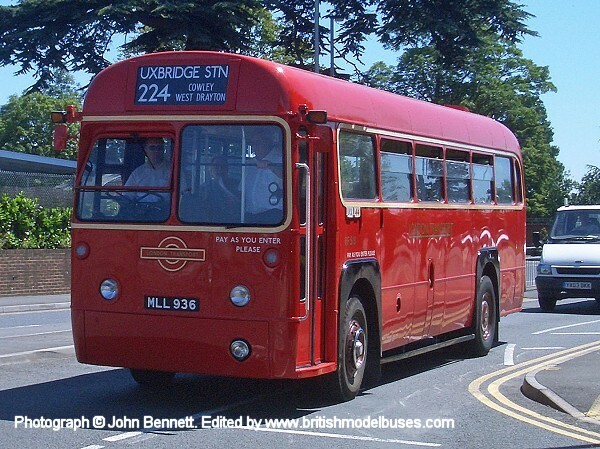 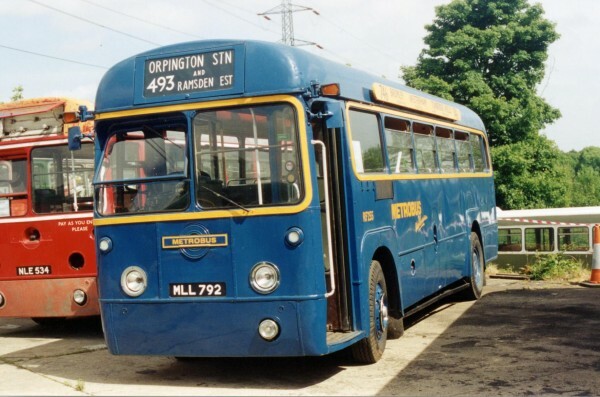 This photograph was taken during the 4th Uxbridge Vintage Running Day on Sunday 26th June 2011 and shows RF518 (MLL936). 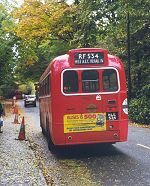 This is the actual vehicle represented by EFE model 23311. 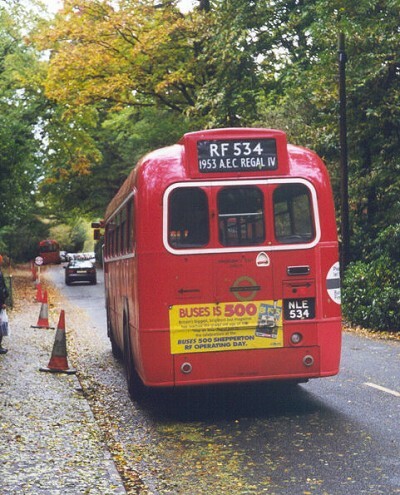 This photograph was taken at the Cobham RF day in October 1999 and shows RF534 (NLE534). 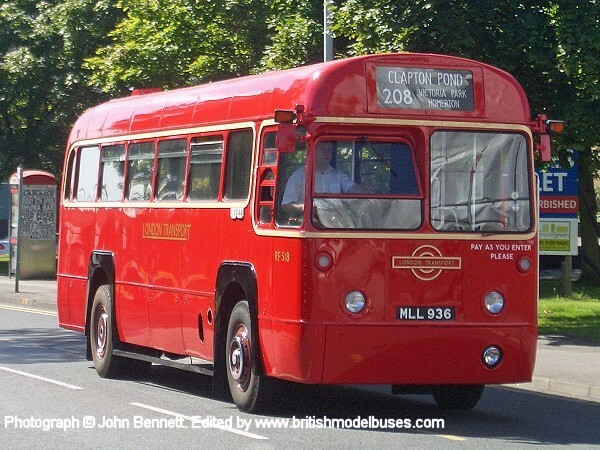 This is the actual vehicle to be represented by EFE as one of the two Cobham 2003 Open Day models. This photograph was also taken at the Cobham RF day in October 1999 and shows the rear of RF534 (NLE534). 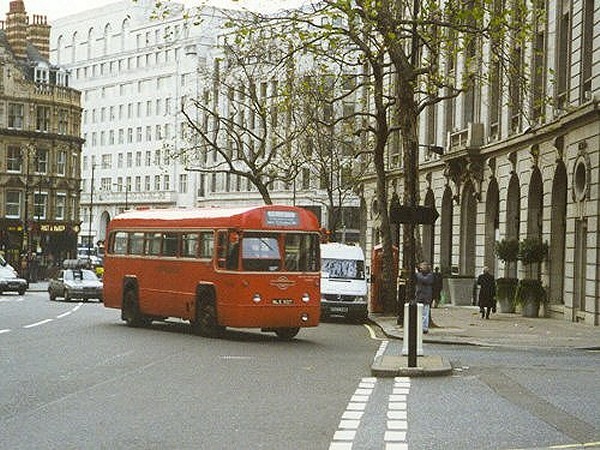 See also picture above. 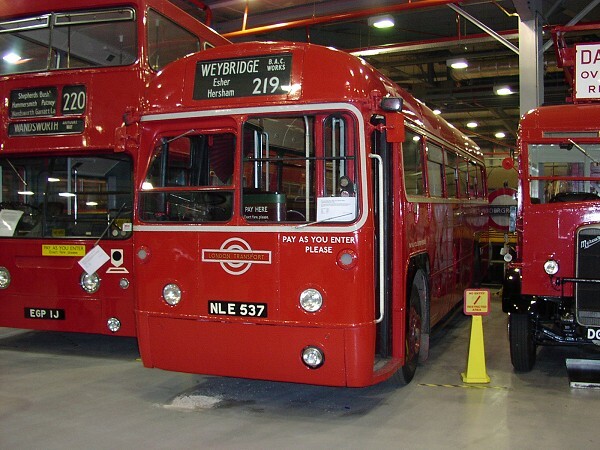 This photograph was taken inside the LT Museum Acton Depot on 8 March 2003 and shows RF537 in its' current home. 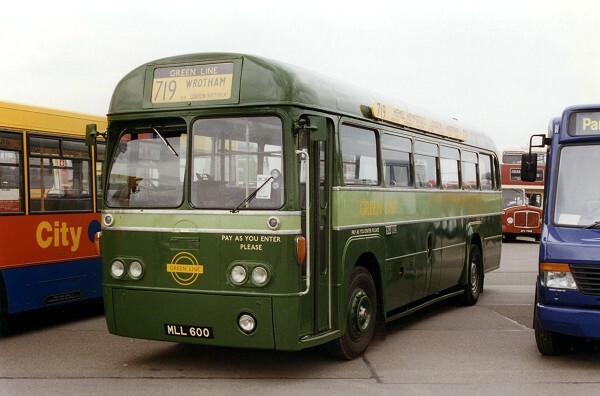 See also photograph 1 above showing this vehicle on the road.